Carol Grant. The Coast Guard signed an agreement with Fish and Wildlife Services that will make it easier to help stranded manatees. The Coast Guard can do more to keep Florida manatees safe thanks to an agreement with the U.S. Fish and Wildlife Service. The agreement, announced Sept. 6, means Fish and Wildlife can tap the Coast Guard for help rescuing sea cows that become stranded in shallow water or tangled in nets. The Coast Guard is authorized to provide operational assistance, logistical support and safety standby, according to a press release. Before signing the agreement, the Coast Guard was only able to protect endangered manatees by enforcing boating speed limits in manatee zones and fining those boaters who go to fast. Though Florida manatees are protected by the Endangered Species Act and the Marine Mammal protection act, collisions with boats continue to kill the animals. Through Sept. 7, 68 manatees have been killed by watercraft in Florida this year, according to statistics from the Florida Fish and Wildlife Conservation Commission. Brevard and Lee counties have the two highest numbers of manatee mortalities from boats. 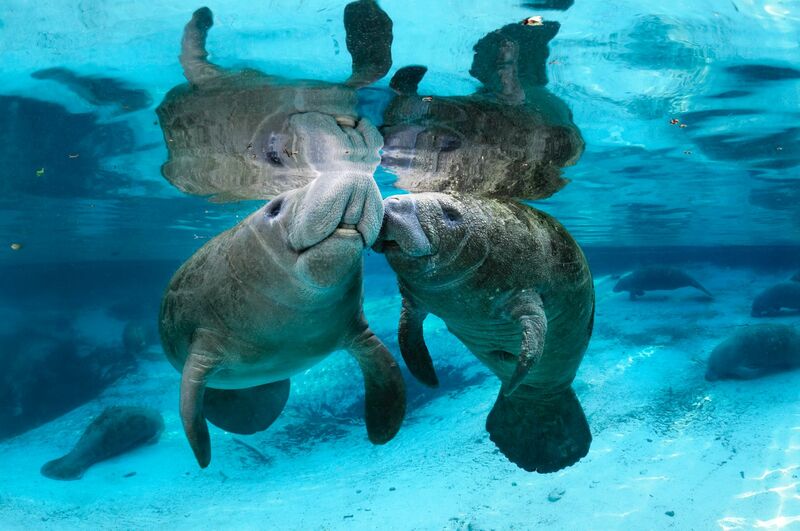 In all of 2011, 87 manatees were killed by watercraft in Florida. So far in 2012, the Coast Guard has issued more than 33 manatee speed zone violations, the release said.